As a certified general surgeon, John S. Davis, MD, FACS, is qualified to treat a wide variety of diseases and conditions. He is highly experienced, particularly in minimally invasive laparoscopic surgeries, hernia repair, and colon surgeries. Dr. Davis joined General Surgery Associates in 1998. Dr. Davis attended Northern Illinois University and the University of Illinois at Chicago before earning his Doctor of Medicine from Rush Medical College in Chicago. He did his internship and residency at Rush-Presbyterian-St. Luke’s Medical Center, and he is a veteran of the United States Navy. Before joining General Surgery Associates, Dr. Davis was in service at the Naval Medical Center in San Diego as member of the Fleet Surgical Team. A leader in his field, Dr. Davis has presented research on treating melanoma at the American Society of Clinical Oncology Annual Meeting. In recent years, his continuing education efforts have focused on minimally invasive techniques for colon surgeries and hernia repair. He is now Chief of Surgery at Spring Valley Hospital. 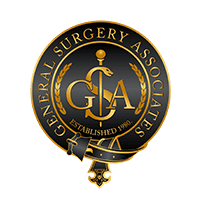 At General Surgery Associates, Dr. Davis provides an exceptionally high level of care, bringing two decades of experience to every consultation and surgery.